This week was spent enjoying good warm water action with a two day charter on Monday and Tuesday and a day and a half open party trip over Wednesday Thursday. 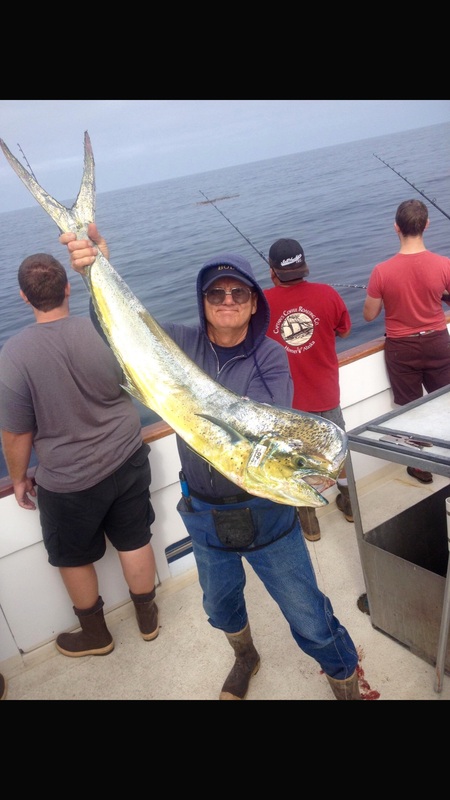 Both trips enjoyed good action for large grade yellowtail, nice Dorado and a few yellowfin tuna mixed in. The today count was 75 yellowtail, nine Dorado and six yellowfin tuna and the 1.5 day count was 25 yellowtail, 14 Dorado and 5 yellowfin tuna. We are out again for a few one day trips and we have openings Saturday night for fishing on Sunday and also a 1.5 day departing Monday night.